Raw food… Probably one of the harder transitions I’ve been trying to make, but it’s been fun! 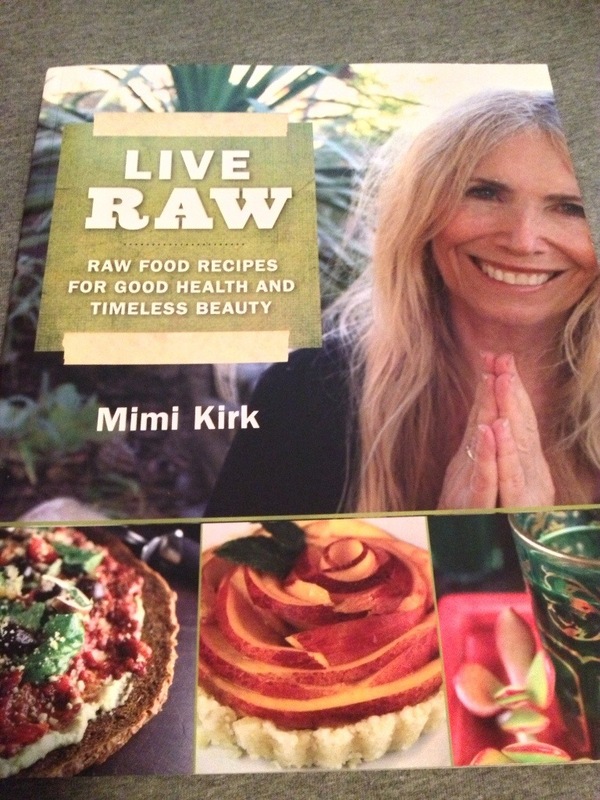 I’ve been checking out several cookbooks available and Live Raw by Mimi Kirk is one of my favorites. She gives tons of cool tips for healthy living along with awesome recipes. Many of the raw cookbooks out there have too many ingredients that most of us don’t really have on hand, at first. Mimi has quite a few recipes that are easier raw meals to make with less mysterious ingredients. I mean unless you’re raw or vegan you don’t normally see nutritional yeast in someone’s kitchen.